Spend Your Tax Refund on an Unforgettable Family Vacation! One of our favorite all-inclusive family vacations is Beaches. For a limited time, you can save up to 65% off your Beaches vacation in Negril, Jamaica. Imagine your kids playing on the water park, while you rest your feet in the soft sand with a tropical drink. It is a relaxing and fun getaway for the entire family! This is not a cruise. This is a thrill packing, boredom axing, refund maxing journey of a lifetime. Now that you’ve filed, bring on the vacation smiles! When you book now through April 21st, 2017, they can earn up to $300 to spend at sea. Terms and Conditions may apply. Want more info on these tax day deals? Email me at Casey@destinationstoexplore.com! Shared by Casey Cote: Casey Cote is a travel agent with Destinations to Explore. She loves planning incredible vacations at no cost to you. To book your next cruise, all-inclusive resort vacation, family getaway or honeymoon, contact at Casey@destinationstoexplore.com. You can also find her on Facebook! Save at the NEW Excellence El Carmen! 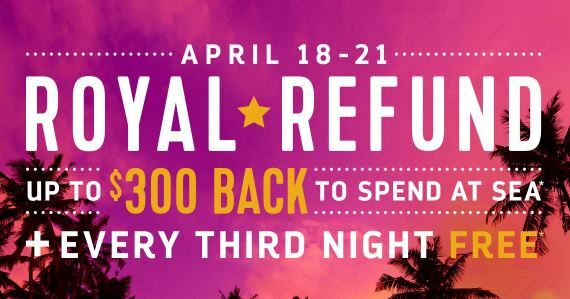 Book by April 10 to save up to 37% plus receive a free upgrade! Located on the east coast of the Dominican Republic, only 25 minutes from the Punta Cana International Airport and 70 minutes from La Romana International Airport, the resort is surrounded by simple elegance, lush tropical settings and attentive service. Its architecture is in the contemporary Caribbean style, with comfortable lounge furniture and direct access to semi-private pool connected to the building’s pool. Enjoy 12 international a la carte dining options, including unlimited lobster plus 16 bars and 23 pools. Private check in and check out. Smart buffets & premium bar service. Private restaurant for breakfast and dinner at the lounge. Upgraded mini bar & room service menu (24 hrs). Private pools and beach area. Complimentary newspaper in room every day. Daily fruit & petit fours in room. Fresh flowers and sparkling wine in room upon arrival. Upgraded in –room premium liquor & wine bottle selection. Interested in a Punta Cana adults-only getaway? Contact me and book your stay at Excellence El Carmen today! Excellence Group Luxury Hotels and Resorts recently announced that Excellence Playa Mujeres has been named as the best All‐ Inclusive Resort in the World by the 2016 TripAdvisor Travelers’ Choice Awards, being hailed by travelers as a “wonderful place to relax and unwind,” where the “staff, food, hotel all deserve 5 stars.” Three additional Excellence Group properties received Travelers’ Choice Awards, with Beloved Playa Mujeres ranked as the 15th best All‐Inclusive in the World. Those are incredible accolades! Excellence Playa Mujeres, an adults‐only resort, is a luxury oasis located in Cancun, Mexico with a setting that is both stunning and exclusive. The resort sits on a two‐mile stretch of powdery white sand, just moments away from the nightlife of Cancun and Cancun International Airport. 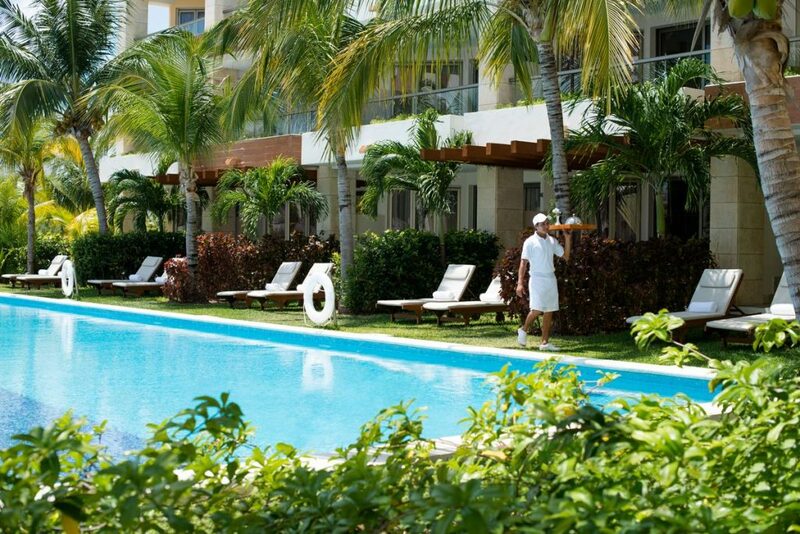 Every suite at Excellence Playa Mujeres is an elegant retreat — contemporary and alluring. Each suite is 807 square feet and larger, with a private round Jacuzzi with indoor and outdoor access and a four‐poster bed situated to take advantage of the gorgeous views. Indulging in any one of the property’s ten international restaurants is a five‐star culinary adventure. 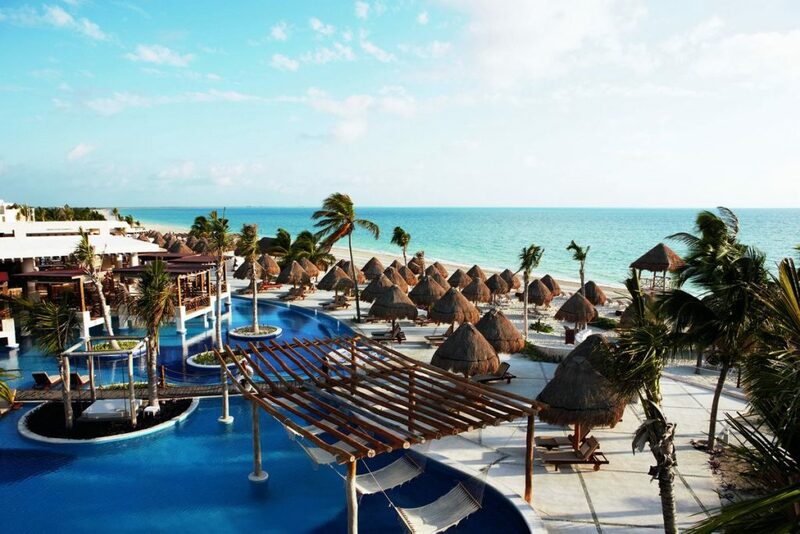 No one goes thirsty at Excellence Playa Mujeres with eleven bars serving up alcoholic and non‐alcoholic drinks. Like all Excellence properties, this resort is recognized for its attention to detail, luxury accommodations and fine cuisine – elements that help to create an enhanced vacation experience. One visit and it will be easy to see why Excellence Playa Mujeres is is All-Inclusive luxury at its finest! Ready to escape to Excellence Playa Mujeres? Contact me at Casey@destinationstoexplore.com for more info and your free vacation quote! At the new Nickelodeon Hotel and Resorts, a Karisma Gourmet Inclusive Resort, your inner child (or actual child) can hang out with their favorite characters. 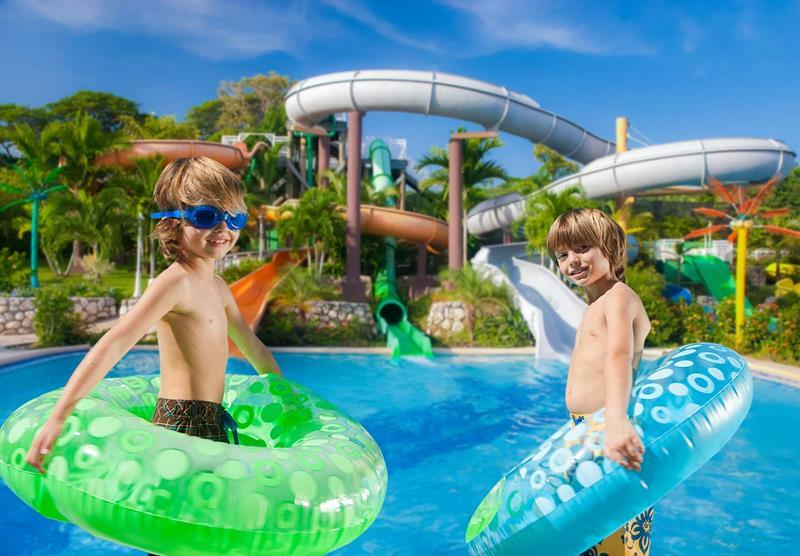 From the Aqua Nick playground, the colorful waterslides and pools, to the luxurious spa a new kind of all-ages vacation is waiting, to make sure you have the experience of a life time. The first resort of its kind in the Caribbean, this world class resort brings the characters of Nickelodeon alive, with five star luxury. The resort features 208 oversized suites filled with comfortable amenities to cater to every need. 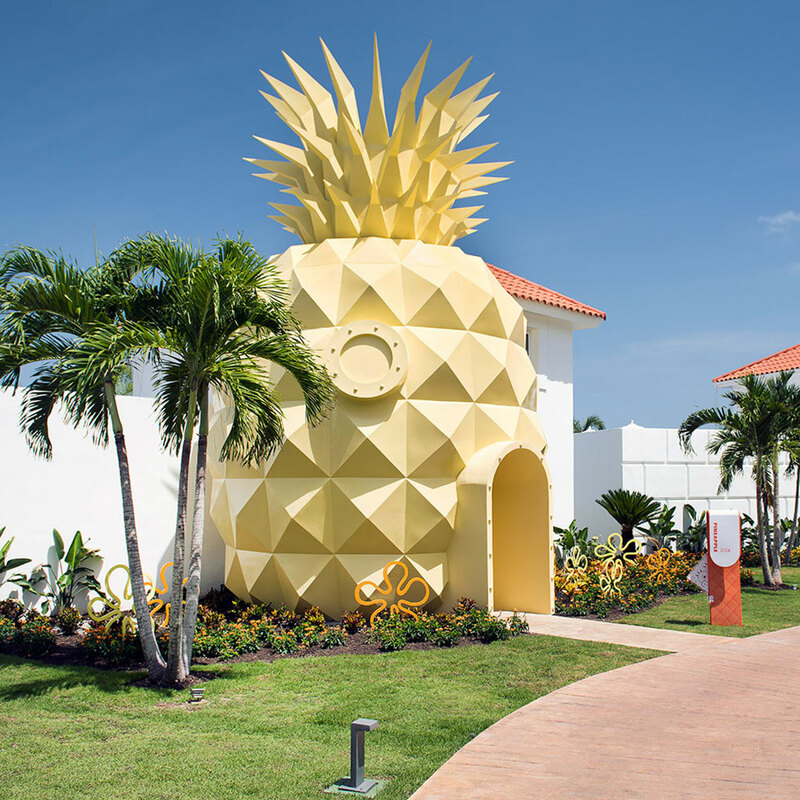 The glamorous and spacious Swank Suites or the Pineapple Villa, Spongebob’s very own house, offers a wide variety of playful decor while keeping the standard of upscale accommodations that Karisma Resorts are known for. The golden sands of Uvero Alto Beach in Punta Cana are waiting for you to enjoy the cuisine, the night life, and even a few hilarious slimings. Who Lives in a Pineapple Under the Sea ? Nickelodeon Hotel and Resort. No matter the size of your family, they have you covered, from rooms that sleep 4 all the way up to 6. With a nice cozy, comfy home base for small families or a swim up terrace from the resort pool, or even the Pool Supper Villa, where you will have your own infinity pool, they have accommodations to fit your style. Don’t forget Gary and your own Pineapple under the sea, this sumptuous villa is the resort’s signature dwelling. The decor is inspired by the world of Bikini Bottom, but has it’s own infinity pool and private butler service. Bringing the baby? Relax, we’re stocked with Gotcha Covered amenities like baby food, strollers, cribs, kids’ spa robes and baby bottle warmers for infants and toddlers. At Nickelodeon Hotel and Resorts Punta Cana, the all-inclusive concept of Karisma Gourmet Inclusive Experience, goes beyond delicious food, its about redefining luxury. With complimentary gourmet cuisine, premium drinks, personalized service and unforgettable activities hand selected for you it makes your “everything’s included” vacation, so much more. More than 11 gourmet restaurants and bar, including 1 adults only, offer a wide variety of cuisine to wet any appetite. Marketplace cuisine, Sicilian, Far East Fusion, and Mediterranean are just a few examples of the amazing options that are available. There is also a swim up bar, kid friendly light meals, coffee and tea lounge and you alway have the option of relaxing in your amazing room and dining in. Play like you own the place! Playtime doesn’t stop just because it’s a 5-star vacation destination, there are activities to get everyone excited. Other than one of the best beaches in the Caribbean being at your front door, you and your children can spend time at the Just Kiddin’ Kids Club, Plaza Orange Theatre, Aqua Nick Playground, the Gourmet Village and of course, Character Central, where you never know who will show up. Chase and Marshall from Paw Patrol and Cosmo and Wanda from Fairly Oddparents are just some of the characters that will be available for meet and greets, slimings, character dining experiences and even private parties. Nickelodeon Hotel and Resorts Punta Cana has two different discounts available to book through December 22, 2016. Contact Erin Benge at 832-233-4468 or erinbenge@destinationstoeplore.com to book your next family vacation at this one of a kind, world class Caribbean Resort. 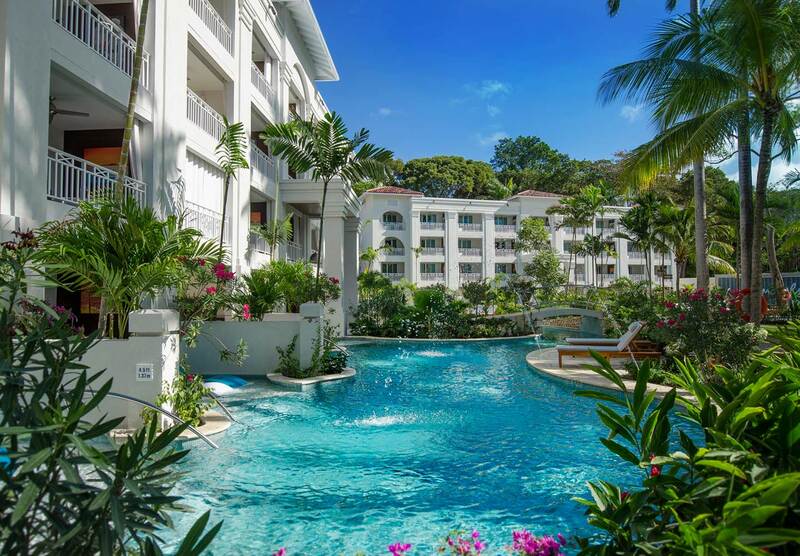 In the spirited St. Lawrence Gap area, Sandals Barbados is an all new resort that offers exclusive, undeniable luxury. Sophisticated and exotic, this resort offers a new definition of sublime. Sandals has thought of everything to make this vacation a world apart from others. Surrounded by uncompromising comfort and world-class luxuries Sandals Barbados will transport you to that romantic get-away you have always dreamed about. From the moment you arrive in the grand, open-air lobby, to meeting your personal butler, you are surrounded by opulence. Total relaxation and romance under the Caribbean sky, surrounded by glistening turquoise waters is just part of your paradise. There are innovations in all 280 rooms, including the new swim up suites. Butler service, zero-entry access to Barbados’s largest and longest lagoon pool, private tranquility soaking tubs on most patios are just some of the features of your adobe designed suite. Romantic fire pits, 3 pools and 2 whirlpools, unlimited dining at 11 amazing restaurants, including Sandals first ever Indian restaurant. 7 full-service bars, including a swim bar with unlimited premium brand drinks and Mondavi wines. World class cuisine with international appeal, along with innovation bar and pool designs are just one of the many exclusives that are inclusive. Do it all or do nothing at all, you pick the level of adventure at Sandals Barbados. If you want to do more than lay on the beach and soak up the rays, there are unlimited land and water sports, including scuba diving. Swim, sail, snorkel, or just relax by the pool. Yoga, pilates, or you can even get in your work-0ut state of mind, it’s all included, proving Sandals Barbados is undeniable luxury. The resort comes alive during the evening hours with a piano bar, live bands, White Parties, Carnivale Beach Parties and even a chocolate buffet night. Each night will be filled with top-rate entertainers and the thrill of authentic island culture. If that’s not enough, when the tables are turned on talent night, you become the star of the show. Sandals Barbados is truly undeniable luxury and even more, undeniable fun-filled adventure just waiting for you. If you want to book your next romantic getaway contact Erin at erinbenge@destinationstoexplore.com or 832-233-4468. From the very first contact to the last suitcase unpacked, she will help make your next vacation the best vacation.